A smart magnetic clasp for small pearls or lightweight chains and necklaces. Magnetic clasps like these are very useful if you find small catches too fiddly. 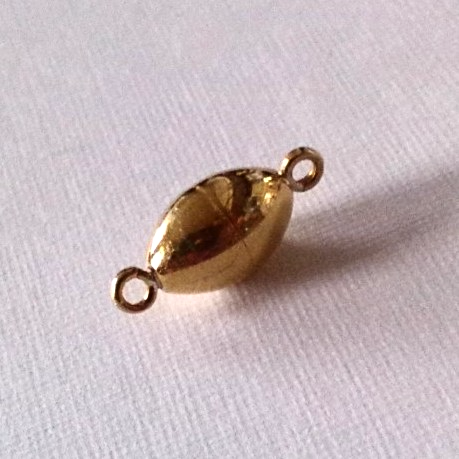 This one is about 12mm x 6mm (1/2 inch x 1/4 inch) and made in England, genuine gold-plated on Sterling silver with a reliable magnetic core.